Globally health is changing rapidly and in many countries millions of people are dying from preventable diseases. Our challenging MSc Public Health programme will prepare you for a rewarding career helping to improve the health of individuals and communities not only in the UK, but around the world. With the World Health Organization calculating that two thirds of an estimated annual 56 million deaths are due to non-communicable diseases - including cardiovascular disease, cancer, diabetes, chronic lung diseases and mental health – the need to consider the wider determinants of health to support people to stay well is the essence of public health. Southampton’s flexible, full-time or part-time MSc Public Health programme will train you in all aspects of public health, with optional pathways specialising in nutrition, intelligence (working with information), global health and management. The course is designed for graduates or experienced health professionals who want to develop their knowledge of public health and/or learn new skills. You will be taught by our expert academic staff with a focus on professional practice, equipping you for a successful career in the public or private sector, or a role as an academic researcher. Our flexible postgraduate programme offers you the option of tailoring your learning to suit your needs. You can choose from studying single modules, a PG Certificate, a PG Diploma or the full MSc, and we have full time and part time study options. The MSc Public Health equipped me with the skills I needed to successfully gain employment and flourish in roles with a local authority public health team, then delivering the Diabetes Prevention Programme in Hampshire, and now community involvement work. As a public health professional, you will be required to develop, implement and evaluate evidence-based programmes to improve health and wellbeing, using core competences from epidemiology and social sciences. 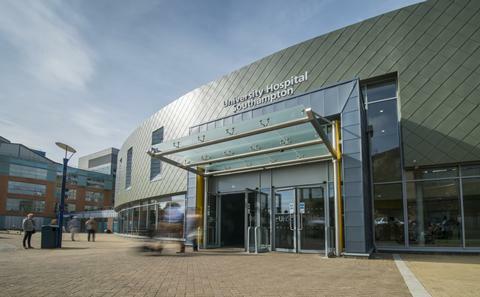 Based at one of the country’s leading teaching hospitals – University Hospital Southampton – you will gain essential skills in epidemiology, quantitative and qualitative research methods, medical statistics, health improvement and in devising effective public health programmes. Our MSc Public Health is accredited by the International Union for Health Promotion and Education and the MSc Public Health pathway in nutrition is accredited by the Association for Nutrition. Applications for the MSc, PG Diploma and PG Certificate in Public Health, and single modules are considered throughout the year. You are encouraged to apply as soon as possible and ALL applications must be received no later than four weeks before the start of the module/programme. In addition, you must supply all the required supporting documentation two weeks prior to starting your module/programme. The MSc Public Health is accredited by the International Union for Health Promotion and Education and the MSc Public Health pathway in nutrition is accredited by the Association for Nutrition. Southampton’s MSc Public Health is a flexible, multidisciplinary masters programme giving you the choice of studying full time for one year, or completing the course in two to five years on a part-time basis. You don’t have to commit to the full MSc from the beginning. You can start by taking a single module and then upgrade to the Postgraduate Certificate, Postgraduate Diploma or MSc in Public Health. Our comprehensive programme provides a broad public health learning experience, offering three pathways in nutrition, intelligence, global health and management with specialist modules to equip you for a career in these specialisms. You will study five core modules covering all the essential professional skills you will need in your career, and optional modules to reflect your own interests. Other modules in human geography, demography, social science and global health may also be taken. You will also write a dissertation that can be a technical report or a paper for an academic journal. Throughout your course, you will also get the opportunity to debate contemporary issues with leading public health experts; meet international researchers in lifecourse epidemiology, geographical aspects of health, health inequalities, maternal and child health and nutrition; and learn from other students, sharing your experiences from a range of health systems around the world. 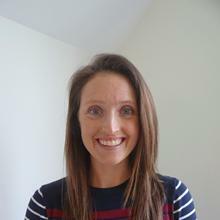 Dr Penelope Nestel joined the Faculty of Medicine in 2006 and is a Principal Teaching Fellow. 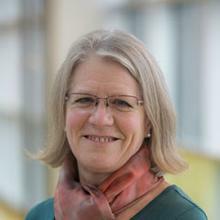 Since being at Southampton she has led the development of the MSc in Public Health with its four pathways (Global Health, Intelligence, Management, Nutrition) and is the Programme Leader for the MSc in Public Health and the Public Health Nutrition pathway. Applicants are expected to have an appropriate second-class honours degree, or an equivalent standard in other qualifications approved by the University, or relevant professional experience in nutrition, dietetics or other biomedical or health sciences. Competency in English is essential as the course is taught entirely in the English language. Students who do not have a recent degree from an approved university that has been taught and assessed in English, or who are from a country that is not on the list of those exempt from testing, require a minimum IELTS score of 7.0 overall, with a minimum of 6.0 in listening, reading and speaking, and a minimum of 6.5 in writing. We accept a range of Secure English Language Tests. Those for whom English is not their first language are asked to indicate the level of English they have attained. What is your experience in the field of public health or pathway of interest? Why do you want to study a postgraduate qualification in public health or pathway of interest? How do you intend to use your qualification in the future? Applications should be made online via our website following the link below. Please note that we do not offer a Certificate for the Intelligence pathway. For more details on applying to Southampton and to apply online, please visit the Application Website. Please note this programme is offered by the Faculty of Medicine, so please choose the Faculty of Medicine in the drop down menu on the application form. We recommend that international students apply at least 6 weeks before the programme starts to ensure that they are able meet our requirements and are able to apply for a visa in time. We cannot guarantee that students who apply later than this will be able to begin the programme that year. Places are limited to 30-35 students per academic year, we encourage anyone interested in the masters programme to apply as soon as possible. 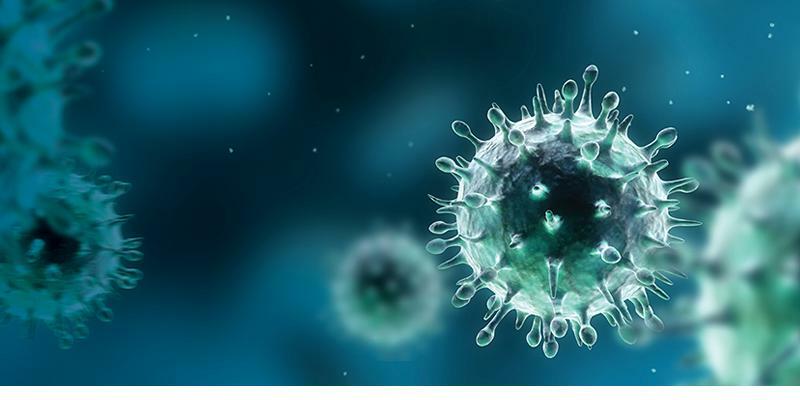 The MSc Public Health programme consists of four core modules that provide the essential knowledge and skills for a professional career in this specialism. Optional modules allow you to develop your interests in particular areas such as communicable disease control and advanced statistics for epidemiology. Depending on the credit value of the module, you will select two or four modules from a choice of demography, health geography and/or medical/health subjects. The pathways include extra core modules in relevant subjects with one optional module. The pathway modules are shown in the next tab. You will also write a dissertation of 6,500 words based on research or a professional project of your choice. Option modules in demography and social sciences will be available depending on timetabling requirements. Conference expenses Students will have the opportunity to attend a conference in London, which is timetabled in the programme. However, attendance is optional. You would be expected to pay for the costs of any travel associated with the conference if you chose to attend. The University of Southampton is committed to developing learners who are able to cultivate a reflective and problem-solving approach to their practice by acquiring knowledge and skills in a contextual, integrated manner. We promote student-centred approaches and recognise the value of learning from past and current experiences as well as the introduction of new knowledge. We aim to support you to become an independent life-long learner able to plan and manage your own learning. Learning and teaching methods are designed to integrate theory with practice, to foster a spirit of enquiry and to encourage new ways of thinking. The programme is designed to maximise multidisciplinary and international learning. It is open to students from a range of disciplines and from across the globe, providing excellent opportunities for multinational learning and practical experience of collaborative working. We will use a variety of teaching methods including formal lectures, seminars, enquiry and work based learning, case studies, workshops, group work, web-based learning and self-directed study. Our assessment methods enable you to demonstrate achievement of the programme’s learning outcomes as you progress through each module. You will encounter a variety of approaches to assessment that will help you demonstrate your knowledge and understanding through utilisation of a range of study skills. The assessment methods are designed to help you integrate theory with practice, develop your skills of critical thinking and analysis, and achieve mastery in your field of public health. The range of assessment methods may include: critical appraisals, case studies, problem solving, multiple choice exams, reflective accounts, essays, debates, oral presentations and a dissertation. Public Health Nutrition is a branch of nutrition and of international or global public health that promotes good health through appropriate food choice, diet and physical activity to prevent primary (and secondary) nutrition related illness at the population level. It is built on a foundation of biological and social sciences, uses and generates epidemiological evidence and involves the development and implementation of programs to improve and maintain health and well-being. The aim for those working as public health nutritionists is to enable everyone to achieve greater health and well-being. Our specialist pathway in nutrition prepares students for employment in three main career tracks, namely as practitioners in public health, academic research or public health intelligence. As a practitioner a public health nutritionist is involved in developing, implementing and evaluating nutrition policies and programmes. All three career tracks generate the evidence base for interventions around food, diet and physical activity to have a positive impact on the health and well-being of communities and populations. Those who work in public health intelligence focus on epidemiology and surveillance of nutrition-related diseases, especially the non-communicable ones such as obesity and its consequences. More than 500 people have already graduated from this programme. Graduates may work in local government public health or health promotion, or in national government nutrition departments. They may also work for a charity such as BNF, NHF, CASH, the or Children’s Food Trust or Action against Hunger; in the private sector; in the food industry for a large retailer such as Waitrose or manufacturer or trade body or association like FDF or IGD; or for professional bodies, like the Association for Nutrition. Some work for themselves as free-lance or independent consultants, for example, providing technical advice or evaluating projects. Some public health nutritionists are educators working in colleges or universities or trainers providing vocational courses. 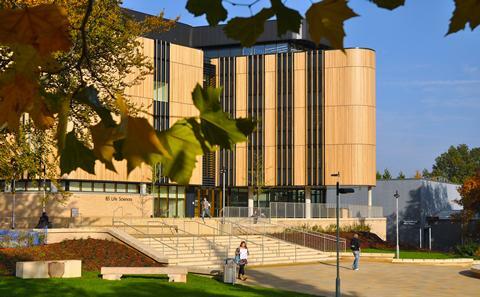 The University of Southampton is host to the only Biomedical Research Unit in Nutrition in the country, with a focus on translational research; we have many specialist academics in this field. The nutrition pathway offers six core modules and an optional module. They cover all the knowledge and skills needed by a professional who aims to work in this specialism. You will also write a dissertation of 6,500 words based on research or a professional project of your choice. Our new specialist pathway in intelligence prepares students for employment in the health intelligence sector that covers collecting, analysing, interpreting, synthesising and communicating health intelligence. This information relates to assessing, measuring and describing health and wellbeing, health risks, health needs and health outcomes of different populations. Those working in health intelligence and information can have roles in information management, research and intelligence work for public health observatories or data management in specific programmes and projects. Geography at Southampton is one of Britain’s leading centres for geographical research, with excellent facilities, a strong publication record, and is home to the GeoData Institute which has provided research and consultancy in geospatial data management, analysis and processing for over 20 years. The MSc Public Health intelligence pathway is delivered by Geography's Population Health and Wellbeing research group, which specialises in population health and the spatial analysis and modelling of population. The group also specialises in spatio-temporal population modelling and synthetic estimation and has a particular interest in the influence of the social, natural and built environment on population health. Members of the group developed the census output areas and workplace zones for the 2011 census and also co-direct the Economic and Social Research Council's Administrative Data Research Centre for England. They cover all the knowledge and skills needed by a professional who aims to work in this specialism. Students should choose at least two of the three GIS-based modules, namely 'Core skills in Geographical Information Systems (GIS)', 'GIS for analysis of health', and 'GIS for healthcare management'. Those who do not take 'Core skills in Geographical Information Systems (GIS)' should have equivalent prior qualifications or experience, including in the practical use of GIS software relevant to the programme. Students take five core modules and have a choice of two modules; one of two from GIS and one of two from Medicine. You will also write a dissertation of 6,500 words based on research or a professional project of your choice. Our new specialist pathway explores the interrelationships between global health and population patterns and processes. Students on this pathway will be equipped to analyse complex demographic and health data to support social policy-making locally, nationally and internationally. This pathway prepares students for employment as global health analysts in a wide range of organisations and sectors including the health and social care professions, market research, local and national government departments, international organisations and many other agencies. Other graduates may pursue PhD studies in this area. This pathway is delivered by the Social Statistics & Demography department of the University’s Faculty of Social Sciences. The Faculty collaborates with colleagues across the University, contributing analytical expertise to address challenging issues including health inequalities, well-being and migration. The work of the School of Economic, Social and Political Science (where the department is based) has impact across the world and the School is known for the application of cutting-edge quantitative and qualitative methods. The global pathway offers seven core modules and three optional modules of which students choose one. They cover all the knowledge and skills needed by a professional who aims to work in this specialism. You will also write a dissertation of 6,500 words based on research or a professional project of your choice. The induction week will provide you with a broad understanding of public health, its disciplines and history. Topical public health issues will be presented by keynote speakers. The two core public health modules in ‘Epidemiology’ and ‘Statistical and qualitative methods for public health’ will enable you to develop the knowledge and skills to evaluate and interpret public health research. Core modules ‘Enabling change for health improvement’ and ‘Development and implementation of policies and strategies’ will support the advancement of knowledge and skills in a range of areas including; leadership, programme planning and working with individuals and communities, and evaluation. Additionally, through the professional development strand, the programme includes explicit learning about professionalism to meet standards common to Faculty of Public Health’s Good Public Health Practice, the UK Public Health Register’s Code of Conduct and the Standards of Ethics, Conduct and Performance of the Association for Nutrition. basis up to a maximum of 60 months, leading to 90 ECTS (European Credit Transfer System) (180 CATS credits) at HE7 level. This length of time for the part time course will allow you to study alongside your other commitments. The programme is arranged as 4 core taught module contributing to 80 CATS, with 40 CATS available for pathway specific core and option modules and the 60 CATS dissertation project. Normally you will attend the University for the teaching that is delivered in 2 or 4 hour sessions over 10 weeks in semesters 1 and 2. The dissertation project runs for 14 weeks full time with a deadline submission mid-late September or part time over 10 months with submission the following April. All modules once selected are core. Each 20 CATS module represents 250 hours for your learning and endeavour, with teaching where appropriate (including seminars, class presentations and class practical sessions). This course varies from the standard University semester and term dates published in the Calendar. Term dates for this programme are published in the student handbook on Blackboard. The structure of programmes are as per the University General Regulations found in Section IV of the University Calendar and the programme specifications. Information about pre and co-requisites is included in individual module profiles. A range of course study materials for all of our modules are available to you via our virtual learning environment, Blackboard (www.blackboard.soton.ac.uk). This will allow you to continue your investigation in your own home and/or work environments when producing your course work. We pride ourselves on having helpful and approachable teaching and support staff and encourage you to contact us whenever support or guidance is needed. This award is classified (pass, merit, distinction). It should be noted that some option modules are subject to timetabling. MEDI6066 and GEOG6096 are unavailable for 2018-19.